I've been eager to jump into some of the projects in my garden that will require my woodworking abilities, and although I've dabbled a bit over the winter and planned, it's time to really get busy! The first project is this climbing rose, 'Zephirine Drouhin' next to the driveway. Limited garden time and relatively small weather windows (times when it's not raining or sopping wet) means that my spring garden cleaning happens a little differently this year. 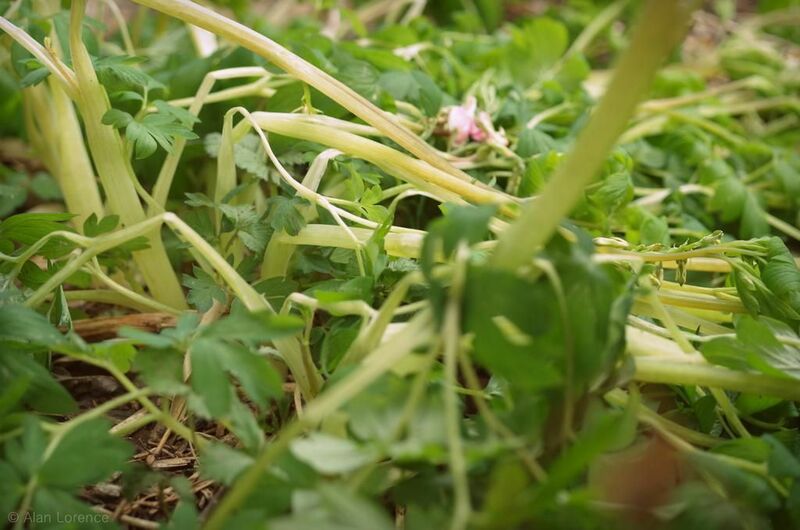 Usually it's chop or pull or prune, then rake, pick up, and trek to the compost pile. Not this year though. 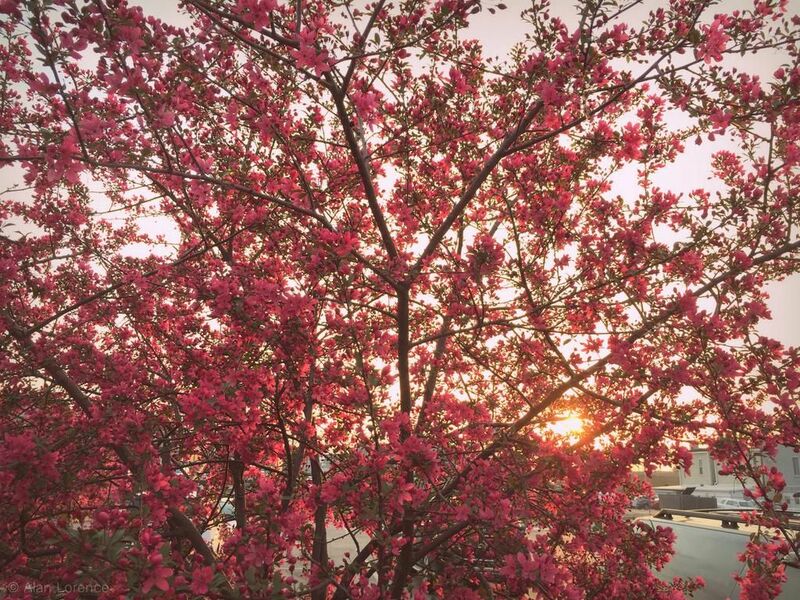 So it seems that spring is actually here now. Not that I have much time to notice, but I'm getting out there to do some of the spring chores so I'm seeing clear signs. Just quick look at what's going on around me. Not my tree above, but can't help but enjoy and appreciate parking lot plantings that look like this! 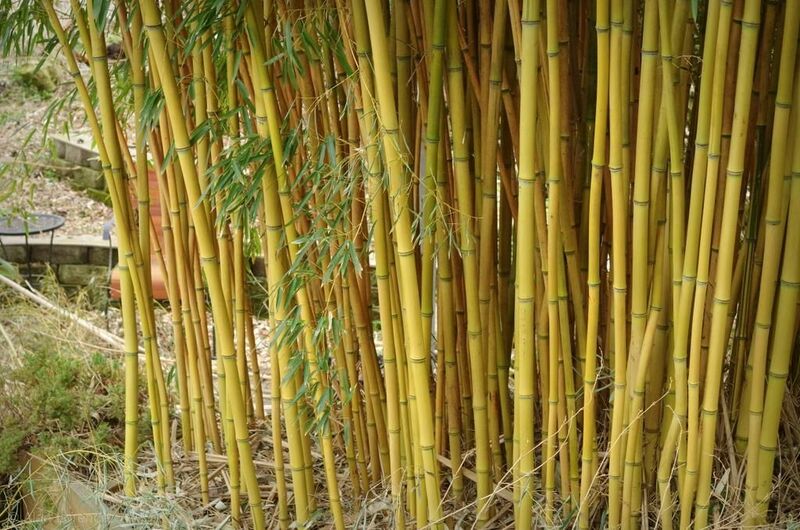 It's the time of year when my thoughts turn to the garden, and in my garden that really means "bamboo". 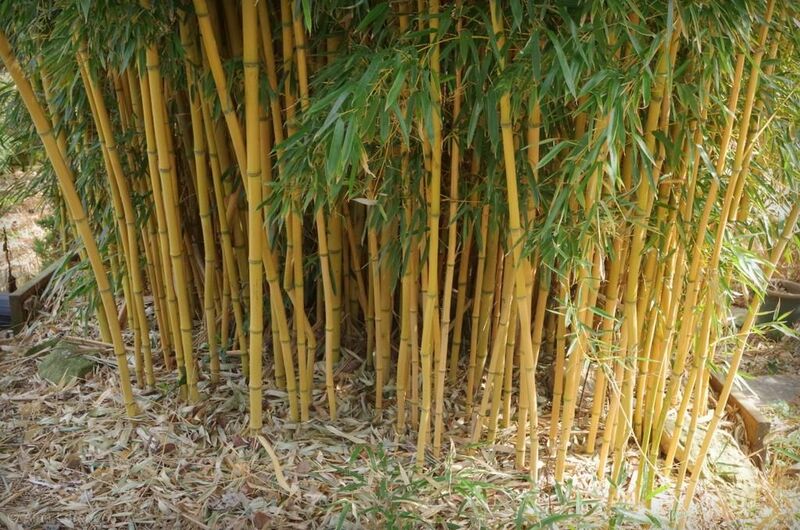 So let's look at some bamboo! ...and then a night of 18ºF (-8ºC). 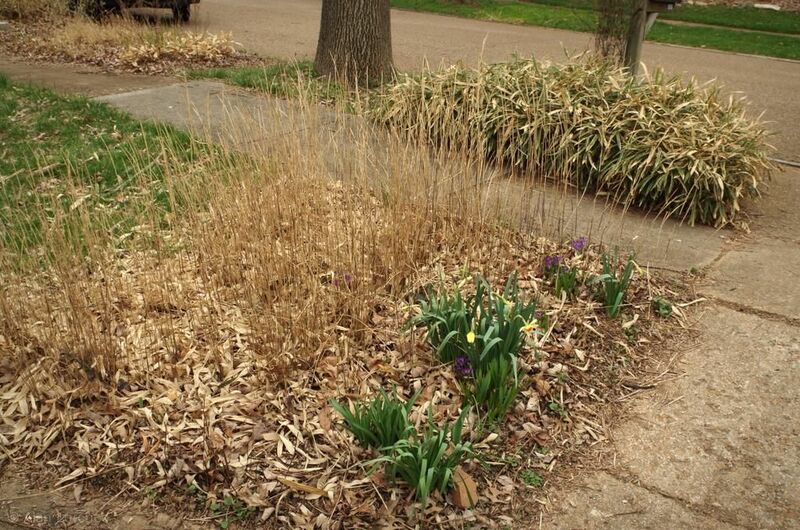 Those plants that emerge early -- even earlier than normal -- get melted. One of my biggest springtime garden tasks is cleaning up the bamboos. 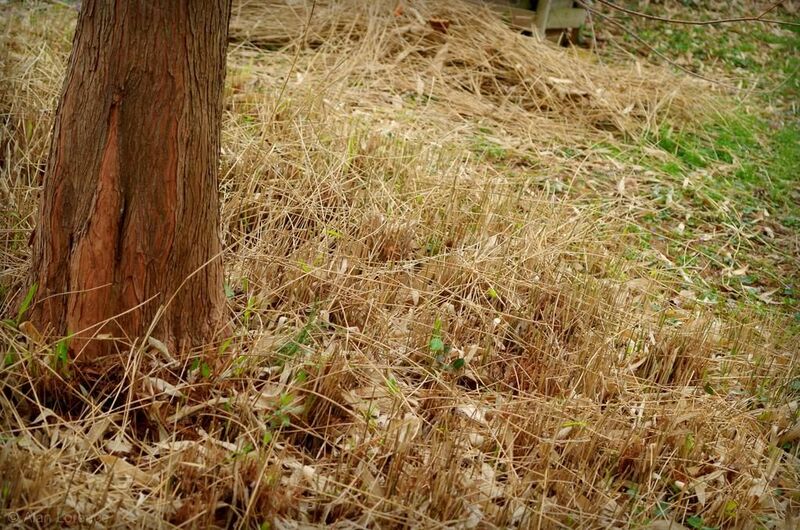 Sometimes this means thinning and tidying the big, arborescent bamboos, but it also means pruning or mowing the groundcover and shrubby bamboos. 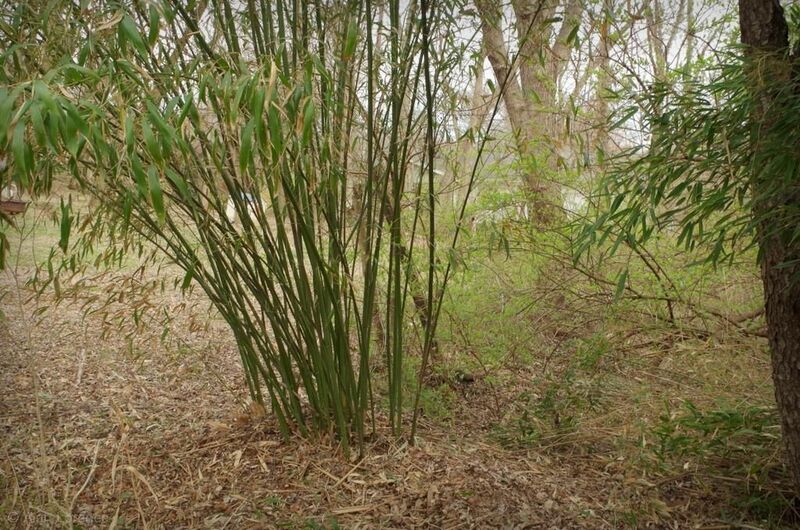 Last Thursday while the warm weather was still here I tackled the front yard bamboos. 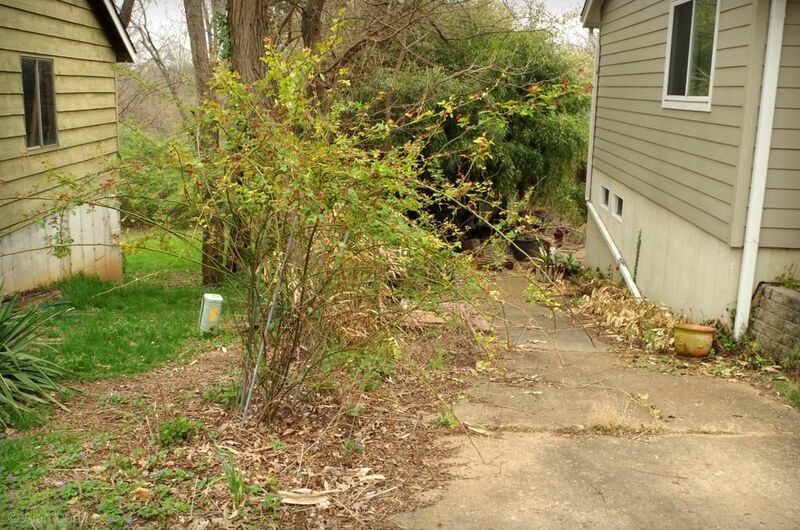 This year it's easy to tell what foliage to trim off: pretty much all of it! 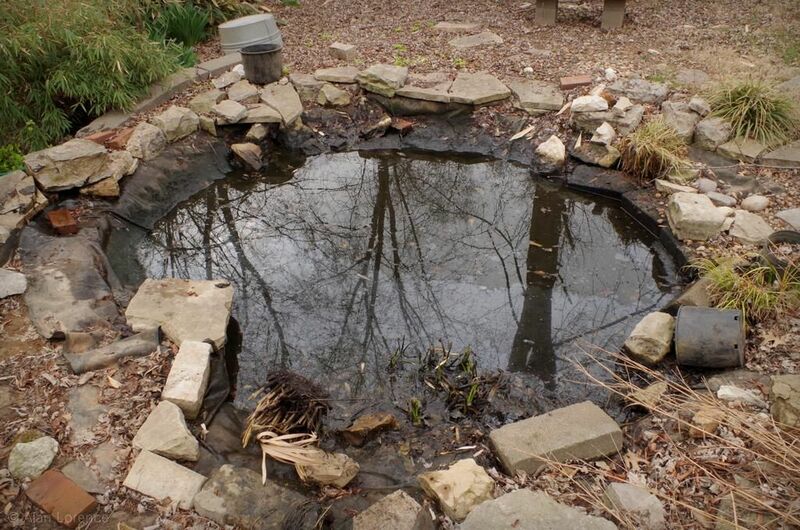 Did you miss part 1 of my pond makeover? Monday started with more bailing, and this is when it started getting really, well, crappy. I'm not really sure how deep the muck was at the bottom, but it was at least 6" (15cm). It could have been double that. Those buckets got heavy. Yesterday I mentioned that the sight of my pond stopped me from continuing with my spring garden cleanup, and teased that today I would reveal what nastiness I enjoyed next. So I now hesitantly show you my pond, which was once the jewel of my garden. 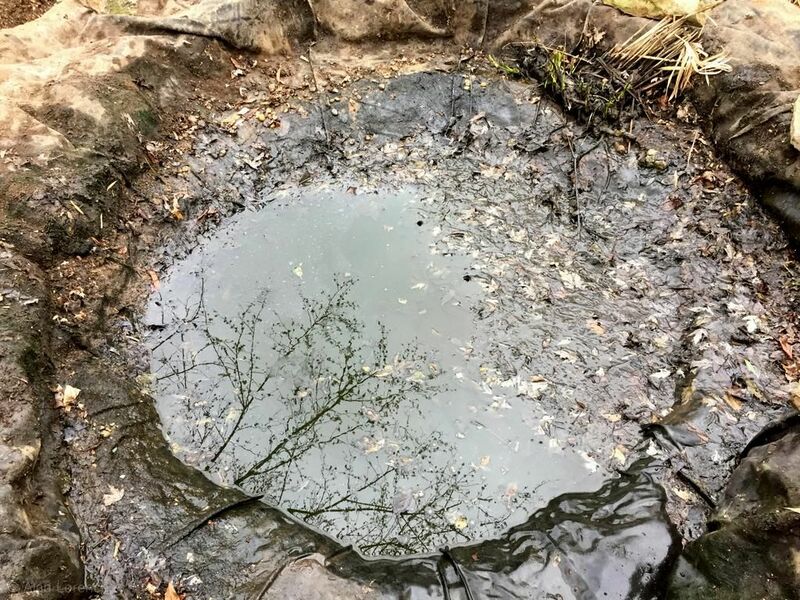 A leak created last summer resulted in months of neglect, the end result being a pond unfit to even show in photos. Sunday I had enough and decided to do something about it. 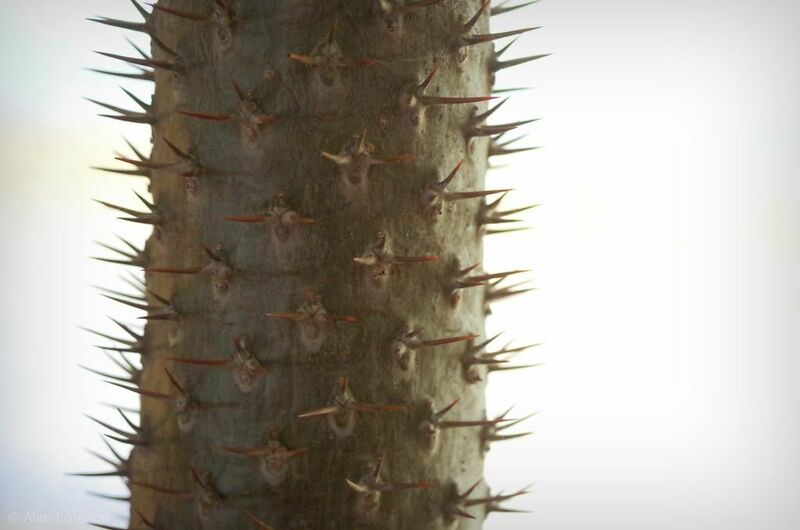 Besides the fact that it's a really cool (and dangerous) feature here.